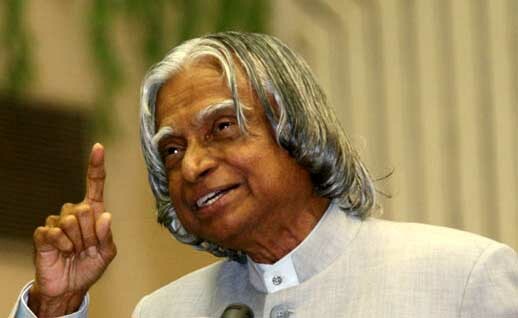 Shillong : The former president of India Dr. A P J Abdul Kalam, who was the 11th president of the country, has been died on Monday evening at a hospital in Meghalaya, where he had gone to deliver a lecture. The former President, who was in office from 2002 to 2007 was 83-year-old. He had collapsed during the lecture at the Indian Institute of Management, Shillong, around 6.30 pm. He was taken to the Bethany hospital. Doctors said he had suffered from a massive cardiac arrest. Paying a special tribute to Dr Kalam later in the evening, Prime Minister Narendra Modi said, he wrote in some tweets, "India mourns the loss of a great scientist, a wonderful President & above all an inspiring individual. RIP Dr. APJ Abdul Kalam." "Dr. Kalam…my mind is filled with so many memories, so many interactions with him. Always marvelled at his intellect, learnt so much from him." In another tweet he said, "Dr. Kalam enjoyed being with people; people & youngsters adored him. He loved students & spent his final moments among them." While the Home Minister Rajnath Singh tweeted, "Deeply saddened at the sudden demise of the former president of India Dr. APJ Abdul Kalam. He was an inspiration to an entire generation." Deeply saddened at the sudden demise of the former president of India Dr. APAJ Abdul Kalam. He was an inspiration to an entire generation. "Dr. Kalam was a man of impeccable character, indomitable spirit, profound knowledge and firm conviction." and "The death of Dr. Kalam is an irreparable loss to this nation. He has left a big void hard to fill. I deeply mourn his death. RIP Kalam Sahab." He wrote in another tweets. Dr. Kalam was a man of impeccable character, indomitable spirit, profound knowledge and firm conviction. Dr Kalam's posted a tweet today morning which became his last post on tweeter. He wrote in the tweet, "Going to Shillong.. to take course on Livable Planet earth at iim. With @srijanpalsingh and Sharma." Dr. A P J Abdul Kalam known as the Missile Man of India, Dr Kalam had played a pivotal role in India's Pokhran-II nuclear test in 1998. One of the most loved Presidents, he was also known as the People's President. While in his 70s, he was nominated for the MTV Youth Icon of the Year award in 2003 and in 2006.